The Analgesic Advantage is a protocol specific, complete approach to increasing assay sensitivity in your clinical trial. Our world class consulting, proprietary monitoring services, rater training and analytical tools synergistically work together to provide the greatest discrimination between active treatment and placebo. Our team of experts will review your study’s protocol and identify a systematic approach to assessment and planning to detect errors early and reduce measurement error in a study. Our Quantitative Data Surveillance System (QDSS) utilizes a statistical process control approach to monitor clinical trials. This approach helps to identify and correct issues at the subject, site, and trial level that could undermine the assay sensitivity of a clinical trial. Register now to receive our latest news, upcoming events and more. © Copyright 2017. Analgesic Solutions. All rights reserved. Sign up today to receive the Analgesic Advantage e-newsletter. 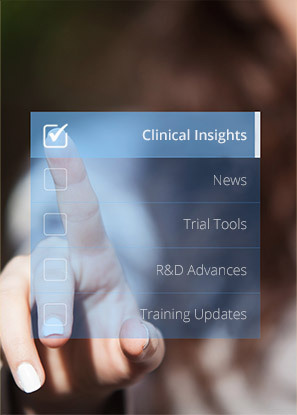 Learn about industry news, clinical trial studies and advances, new technical papers and much more.